The FPL Dania Beach Clean Energy Center is needed to replace our existing power plant, which was last updated nearly a quarter-century ago and uses technology that dates as far back as the 1950s. The planned facility will produce approximately 1,200 megawatts of energy fueled by natural gas – enough to provide power around-the-clock for approximately 250,000 homes. Our facility will have a sleek, modern appearance and require less equipment than the existing plant, including 50 percent fewer: power (combustion) turbines, steam generators, steam turbines and stacks - all reduced from four to two. The future FPL Dania Beach Clean Energy Center successfully completed comprehensive reviews by county, state and federal agencies to ensure it meets all regulatory requirements. 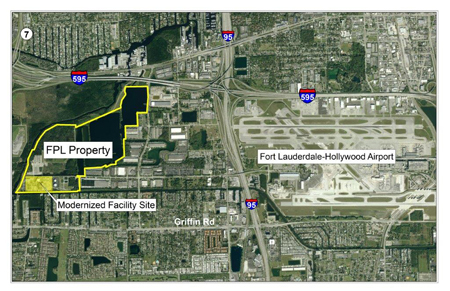 Florida’s Siting Board unanimously approved the project in November 2018. See our FPL Dania Beach Clean Energy Center fact sheet for more information.